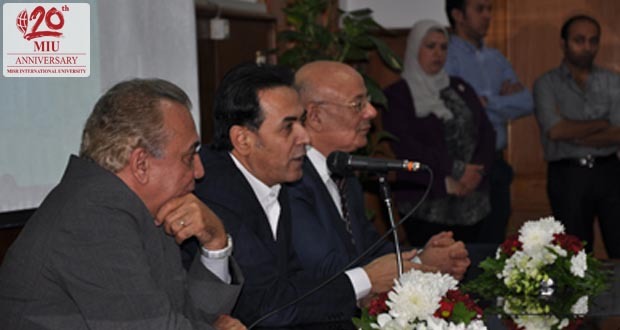 TV Presenter Khairy Ramadan conducted a lecture on the State of Egyptian Media to Mass Communication and Alsun students at Misr International University on Monday November 30. 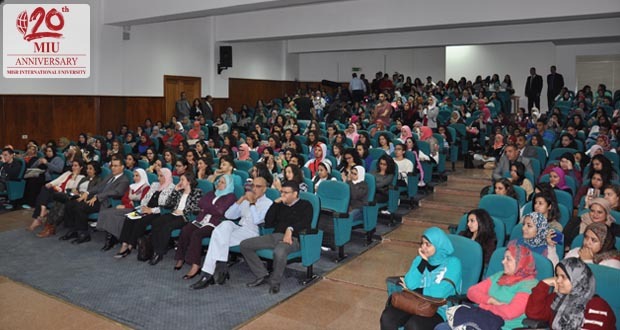 The CBC talk show host and journalist provided students with his perspective on Egyptian media today, including advantages and shortcomings. Ramadan also shared his personal experiences on how he became a journalist and his experiences as a presenter. Ramadan followed his prepared speech with a student questions and answers session. He responded to student questions with his expertise as an established media personality and offered students advice on how to become successful journalists and television presenters.